I guess I'm repeating myself but... May? Already? How did that happen? Well, let's not explore that further, but enjoy that you get two posts in a day. (See my W.i.P. post here.) Here's a mosaic of finished and unfinished April projects. I'm so happy with all of them! So much in my favourite colours, too. You might spot a project that you haven't seen in a while and never in its finished state - come back on Friday if you'd like to see more. What to expect in May? Definitely more Fish & HSTs. More baby things. A skirt. 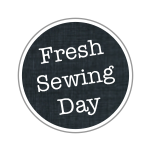 Linking up with Fresh Sewing Day over at Lily's Quilts. Come and join us in the fun! Na du bist aber jetzt schnell ganz schön weit gekommen. Your April projects are wonderful. Looking forward to see what May brings! Ooh I love the colour of your mosaic - definitely a theme going on there :) Beautiful makes! Oh my do I love all that blue! 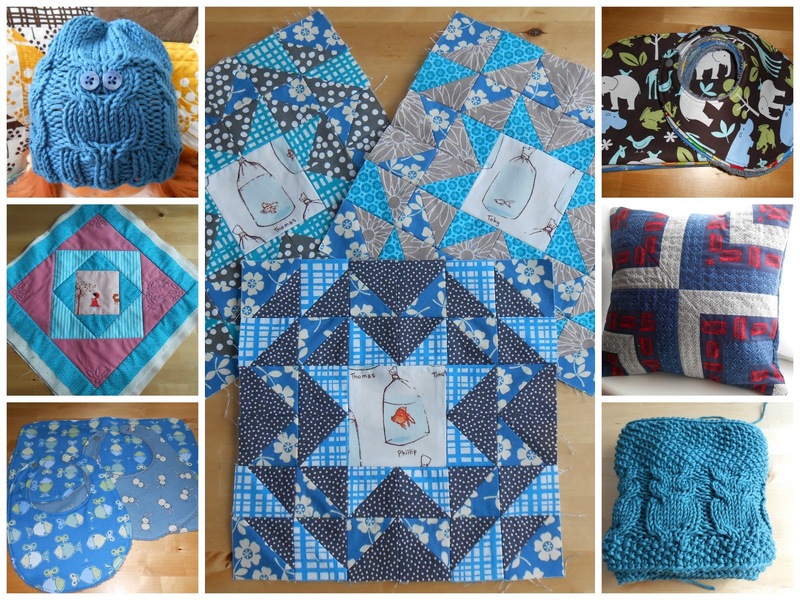 Cute projects love the blue theme!